The negative effects of hearing loss appear obvious, such as the stress of the continuous struggle to hear and the impact this can have on relationships. But what if the repercussions went deeper, and could actually influence your personality? Research from the University of Gothenburg indicates that this might be the case. The researchers studied 400 individuals aged 80-98 over a six-year period. The researchers measured several physical, mental, social, and personality criteria through the duration of the study, including extroversion, or the tendency to be outgoing. Unexpectedly, the researchers couldn’t connect the decrease in extraversion to physical variables, cognitive decline, or social issues. The single factor that could be linked to the decrease in extraversion was hearing loss. While people in general become less outgoing as they get older, this study demonstrates that the change is amplified in those with hearing loss. Decreased extraversion, which can bring on social isolation in the elderly, is a significant health risk. In fact, a meta-analysis of 148 studies assessing the relationship between social isolation and mortality found that an absence of supporting social relationships was correlated with increased mortality rates. Additionally, social isolation is a major risk factor for mental illness, including the onset of major depression. Going out less can also lead to decreased physical activity, leading to physical problems and weight issues, and the lack of stimulation to the brain—typically received from group interaction and dialogue—can lead to cognitive decline. 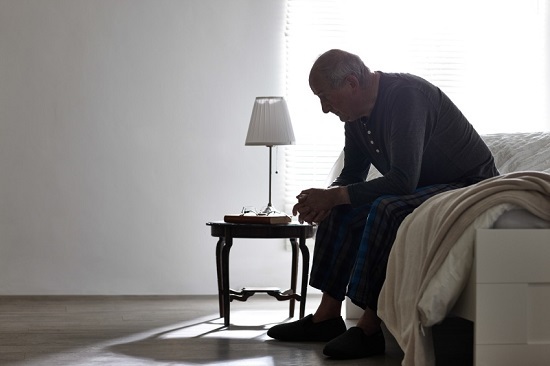 The health effects of social isolation are well developed, and hearing loss appears to be connected to decreased social activity. The question is, exactly what is it about hearing loss that makes people less inclined to be socially active? The obvious answer is the trouble hearing loss can cause in group settings. For individuals with hearing loss, it can be exceedingly difficult to follow conversations when several people are speaking all at one time and where there is a lot of background noise. The continual battle to hear can be fatiguing, and it’s sometimes easier to forfeit the activity than to struggle through it. Hearing loss can also be embarrassing, and can produce a sense of separation even if the person is physically part of a group. For these reasons, amongst others, it’s no surprise that many individuals with hearing loss choose to abstain from the difficulties of group interaction and activity. If you suffer from hearing loss, consider utilizing hearing aids. Today’s technology can treat virtually all instances of hearing loss, supplying the amplification necessary to more easily interact in group settings. If you have hearing loss, speak with the group beforehand, informing them about your hearing loss and suggesting ways to make communication easier. For those that know someone with hearing loss, try to make communication easier. Minimize background noise, find quiet areas for communication, and speak directly and clearly to the person with hearing loss. With a little awareness, preparation, and the right technology, we can all make communication a little easier for individuals with hearing loss.